I don’t use the microwave often, but when I do… I make microwave mug cakes. Not just any microwave mug cakes either. You know me. You expected this. This comes as no surprise.. the microwave mug cake of the day is filled with protein and CHOCOLATE. Oh, of course. You aren’t actually surprised, are you? My Instagram has been filled with these lately. I love chocolate. Chocolate on chocolate. Add protein into that and I automatically feel THAT much better about eating it 😉 This is the best invention ever to come to chocolate cake lovers – period. Seriously. Think about it… You get a craving for chocolate cake. You don’t have any chocolate cake. Chocolate cake takes a while to bake. The store is also too far away for you to go just to get some cake. Plus, you only want a little, not a whole cake… But you have a microwave. You have a mug. And you have all of the ingredients. Thanks to the wonders of microwave gods and whatever else you wanna thank, the only thing that is standing in between you and that delicious double chocolate cake is 2-3 minutes it takes to make it. That’s correct. 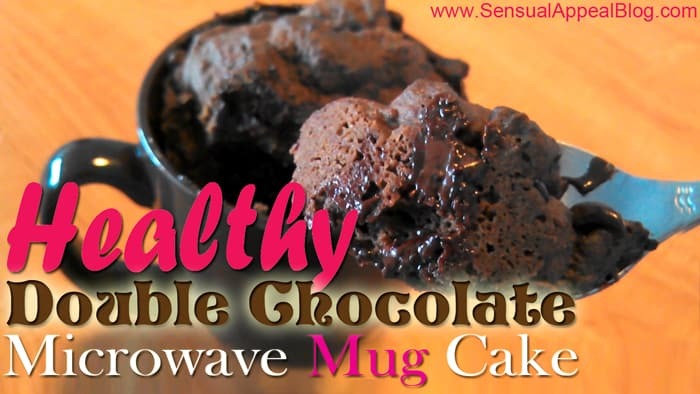 It only takes 2-3 minutes to MAKE this double chocolate microwave mug cake. Are you in heaven yet? Just wait till you actually try it! THEN you’ll reach paradise! You might be wondering where you can get this awesome NuNaturals stevia that I love so much? NuNaturals is my favorite stevia brand because it does NOT leave a bitter aftertaste and it comes in a ton of different flavors for their liquid stevia drops. If you aren’t familiar with stevia – it is an all-natural sweetener from a stevia plant that has virtually no calories and has no effect on the blood sugar levels! I use the packets as a substitute for regular sugar but I have also used the liquid flavored Stevia drops in many recipes before, such as the Chocolate Coconut Protein Pudding or Almond Joy Protein Pudding. If you would like to purchase the products directly on the website www.nunaturals.com, you can get a 15% discount off your entire order when you enter the code: BLG0613. This discount remains effective until June 30, 2013 . 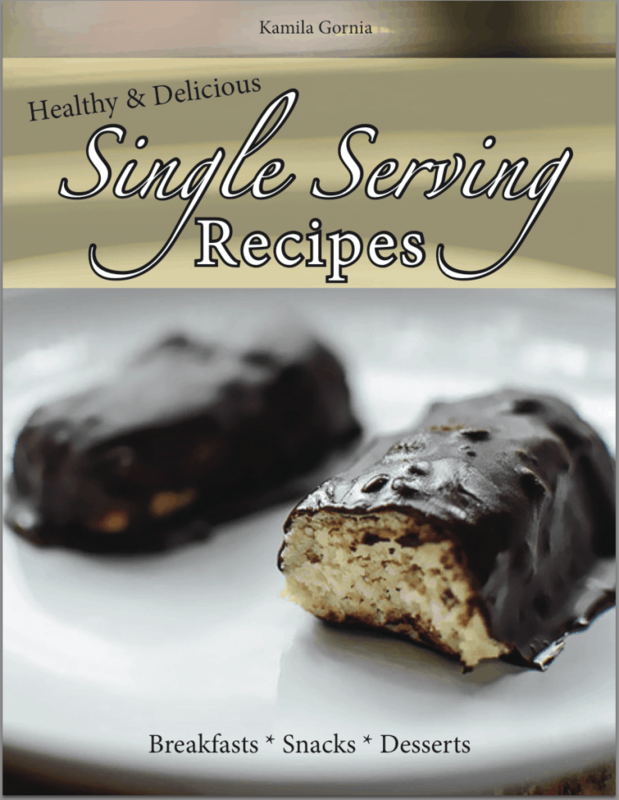 For more single serving recipes, check out my eBook Delicious & Healthy: Single Serving Recipes! The eBook is instantly downloadable and only costs $7.99! Disclosure: I received the product from NuNaturals to try out. I was not otherwise compensated. NuNaturals will ship directly to the winners. This contest is open to all readers worldwide! No P.O. Boxes. Shared on Slightly Indulgent, Tuesday Talent Show, Two Cup Tuesday, Sugar & Slice. I would be most interested in the lemon flavor. I can see using it in cheesecake! I would love to try either the chocolate or peppermint! Sounds so good! I’d love to try the chocolate! I must try this soon, looks amazing! I don’t use cansein because of the health risks, I have used whey but I found it doesn’t grow as much as egg white and will be less fluffy.. It will still work though! Well then all I can say is: mission accomplished! Ohhh, peppermint for sure. Never tried it, but I love using flavored liquid stevia in my food. I know right? Let me knwo if you do make it, I’d love to hear your thoughts! Um….all of them! But I’ll say chocolate to answer the question. I definitely want to try the chocolate! chocolate without a doubt! i pretty much love anything chocolate. I would love to try peppermint! I can’t decide…chocolate and peppermint! The peppermint sounds delightful!!!!!!!!!!! Woot! All those flavors look good, but chocolate is definitely at the top of the list! Thanks for the chance to win some liquid stevia, I’ve been wanting to try it! Chocolate! that sounds too unique not to try! Probably lemon, though I’d like to try them all! What a cool recipe and giveaway! I think Id be most intrigued to try chocolate. Sounds amazing! Hands down I would have to have the chocolate. The mint sounds interesting. I bet it would be interesting in tea. This is beautiful. Healthy, sugar-free chocolate mug cake makes me unspeakably happy!